Google had a federal magistrate’s approval to inform WikiLeaks employees that their emails had been the subjects of sealed search warrants, but waited six months. A judge agreed last May to unseal orders issued in 2012, giving the US govt access to the personal accounts of three WikiLeaks journalists, for the limited purpose of informing them that their Gmail and and other intimate data had been compromised, investigative journalist Alexa O’Brien reported this week. But while Magistrate Judge John F. Anderson authorized Google to make that disclosure on May 15, 2014, according to public records seen by O’Brien, Wikileaks acknowledged recently it was not made aware of the warrants until this past December. Copies of the search warrants published by WikiLeaks reveal that in March 2012 the US govt served Google with an order requiring the company to hand over details of accounts opened by Wikileaks spokesperson Kristinn Hrafnsson, and two editors — Sarah Harrison and Joseph Farrell — along with gag orders intended to indefinitely prevent their presence from being revealed. Harrison alluded to the warrants during an address at a hacker conference in Germany shortly after Christmas 2014 and further details were revealed during a press conference in Switzerland late last month. “I believe this is an attack on me. As a journalist for now almost 30 years, I think this is an attack on journalism,” Hrafnsson said in Geneva. Attorney for Google, Albert Gidari, told the Washington Post that it has “continued to fight to lift the gag orders on any legal process it has received on WikiLeaks” dating back to 2011. O’Brien now reports that Google may have been able to reach out to WikiLeaks much earlier. “Public docketing and confirmations to the clerks in the US District Court in Alexandria, Virginia by the US Attorney in the Eastern District of Virginia, who was responsible for filing all three search warrants for WikiLeaks staffer’s email content in March 2012, reveal that Google waited six months to disclose the existence of the search warrants by the US Department of Justice,” O’Brien wrote in part. O’Brien reports that Gidari said he is limited with regards to commenting on the case since he remains bound by a gag order, deferring her to Google HQ. 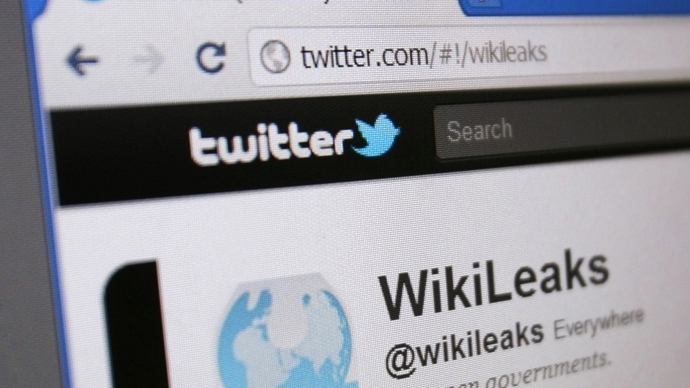 Wikileaks announced through Twitter Wednesday that “Google hid WikiLeaks search warrants for six months after they were unsealed,” along with a link to O’Brien’s original reporting. Wikileaks’ attorneys said that they were seeking an explanation from Google as to what effort, if any, went into fighting the gag orders. “The question I have as their attorney is: what caused this six-month delay in notifying our clients of these search warrants?” Michael Ratner, a US attorney for WikiLeaks, told The Guardian on Thursday. Julian Assange, the Australian-born founder and editor of WikiLeaks, is among the most public and influential opponents of Google. A book authored by Assange and released last year alleges collusion between Google and the US State Department. “Google’s business model is the spy. It makes more than 80 percent of its money by collecting information about people, pooling it together, storing it, indexing it, building profiles of people to predict their interests and behaviour and then selling those profiles principally to advertisers, but also others,” Assange told BBC last year. Wikileaks exposure of classified US State Department cables detailing US foreign policy provided by Army leaker Chelsea Manning internationally embarrassed the Obama administration. Manning, 27, is currently serving a 35-year prison sentence as a result of her involvement with WikiLeaks.